The longtime live-in girlfriend of a wealthy Jersey Shore mattress magnate will not be allowed to share in any portion of his estate. For many people the legal process of getting married is not important or is just something they are not interested in. Instead of living as husband and wife, they elect to live as life-long partners. Issues constantly arise when one of the partners either elects to end the lengthy relationship or one of the partners passes away. In these instances, one of the partners may allege he/she is entitled to palimony. I’m sure you’re saying to yourself, “I have heard of and know what alimony is, but what is palimony?” Palimony is an amount of money ordered by a court to be paid from one unmarried partner to another, after the end of the couple’s relationship. A recent New Jersey Appellate Division upheld the denial of a claim from the longtime live-in partner of a wealthy Jersey Shore mattress magnate. Her claim was that she be permitted to share in a portion of his estate. This ruling was made despite the live-in partners’ argument that the deceased mattress magnate allegedly stated he would provide for her in the event of his death. The Judge acknowledged that the couple’s relationship spanned over fifteen years. They worked together, lived together, traveled together and existed as a family unit. They held themselves out to the world as husband and wife. The lawsuit claimed that the deceased partner promised that he would provide for the live-in partner financially. However, the court noted that the promise was never put in writing, as required by a 2010 law enacted by the Legislature and affirmed by the State Supreme Court in its 2014 ruling, Maeker v. Ross. In his will, the deceased partner named his two daughters as his sole beneficiaries. 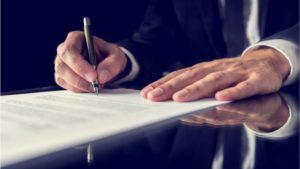 The Judge stated that since there was no written palimony agreement stating the deceased would take care of the live-in partner’s future, that she could not state a claim. The requirements for an individual to receive Palimony are intertwined with New Jersey Statue of Frauds. Palimony claims may be successful, in addition to other facts, if there is a written agreement to be enforced in court. Every Palimony case is fact sensitive and requires a thorough analysis. The attorneys at Gale & Laughlin are here to assist with any Palimony and/or matrimonial questions that you may have. 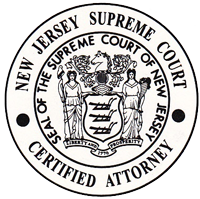 There is no substitute for consulting with an experienced New Jersey Lawyer. Contact us with any questions you may have.